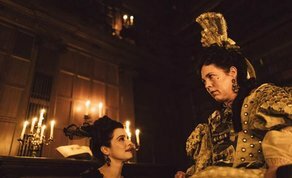 Element Pictures’ period dramedy ‘The Favourite’ has strengthened its claim in the race for Oscar recognitions with an incredible 14 Critics’ Choice Awards nominations. Yorgos Lanthimos’ film leads the list of nominees with Disney’s ‘Black Panther’ earning 12 noms and Universal’s ‘First Man’ earning 10 noms. One of the most reliable Academy Award indicators in recent years, the Critics’ Choice Awards nominations come off the back of the films recent Golden Globe recognition with Yorgos Lanthimos’ feature receiving five nominations including one for Best Picture. The 24th annual Critic’ Choice Awards take place on January 13th, 2019.